GOVERNORSHIP candidate of the Peoples Democratic Party (PDP) in Lagos State, Mr. Jimi Agbaje, says his government will construct a light-rail system to unknot the traffic gridlock in Ikorodu and connect the town with other parts of Lagos. At a campaign visit to Ikorodu, Agbaje said he recognised the harrowing experience the people suffered daily trying to access other parts of the state. 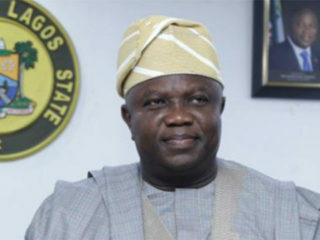 “As part of the holistic solution to address the traffic gridlock in Lagos, my administration, if elected, would construct a railway system to links Ikorodu with the larger Lagos,” he said. Fashola, at an APC rally at Gbagada, chided Agbaje for saying that Lagos is the most indebted state in Nigeria. Agbaje blamed the suffering of Ikorodu people on the slow pace of construction of the road between Ikorodu and Ojota. He said: “This road that they have been constructing for all these years have been inflicting suffering upon the people of Ikorodu. While admitting that the current state government has embarked on some infrastructural projects, he, nonetheless, said they were not commensurate with the reported amount sent on them. 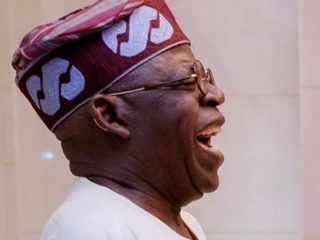 “The last 16 years have seen the APC and its precursor regime collecting N4 trillion, which has failed to reflect in the achievements it has recorded,” he said. 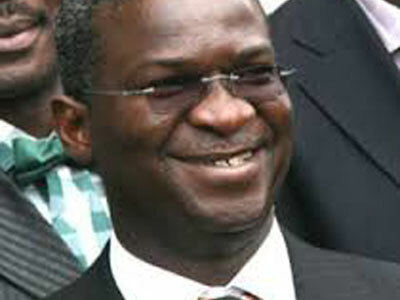 Fashola spoke about President Jonathan and the PDP alleged violation of all rules in the book. He said: “If you look at the Third Mainland Bridge, you will see the posters of President Goodluck Jonathan. “He has taken over the advertising spaces on the bridge, which LASA already allocated to those who paid for the spaces. Describing the ruling party as lawless, Fashola said President Jonathan had broken every rule he has set, wondering if that was the kind of president Nigerians want. He queried: “We fund the police but how many vehicles have they (Federal Government) bought for the police? The governorship candidate of the APC, Akinwunmi Ambode, challenged the PDP to provide the alleged missing $20bn in its government’s coffer. “If we get that money, roads would be constructed,” he said. Ambode also scolded the Federal Government over the N10 reduction in oil price. The former Accountant-General of Lagos State the action would not solve the problems in the country. “We want more jobs. 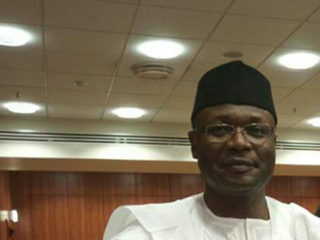 Let the Lagos State candidate (Agbaje) tell them to release the subsidy scam report,” he said.